Time is an amazing thing, this February it is one year since I started working full time at FF, and it is also a major milestone in my life. This February I am celebrating 15 years in remission from cancer! It’s completely true that time passes quickly when you are enjoying it, and this year at FF has gone in a flash! Its been an incredible year working with an amazing team of people; the wonderful people I see everyday in the office, and the incredible and inspiring coaches who embody the FF values. Since I first met Jon way back in 2008, as the Team Leader at SIFE Reading, I have felt a true connection with FF. I am so glad that the stars aligned at the right time in my life and I got the opportunity a year ago to join you all on the FF journey! The last year has seen me take on a lot of school programmes, one day, residential programmes, the first GSL Catalyst, NCS and so much more! But FF is always looking forward and that’s the best part. So looking forward for me, personally, this coming year I am not looking back but thinking of the future. This year I celebrate 15 years all clear after undergoing chemotherapy when I was 16 years old. Five years ago, I completed the Reading Half Marathon, and so this year it seemed like I needed to up my game again…. so…. I am signed up for the South Coast Challenge. I will be walking 100k in 24hrs….from Eastbourne to Arundel! My family are walk alongside me on my challenge, some for 25k, some for 50k and some for 100k, just as they did 15 years go. 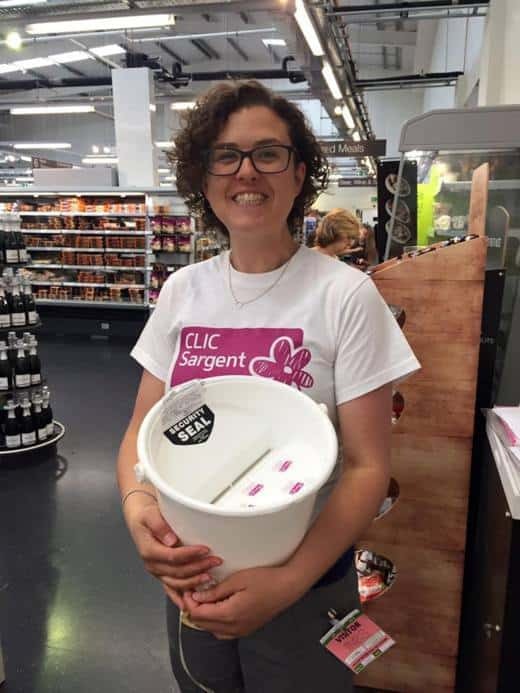 I am raising money for a charity called CLIC Sargent who supported me through 6 months of chemo. The CLIC nurse would make the journey out to my home or school in rural Dorset to take my weekly bloods. What this gave me and my family was the chance to continue with a bit of normality and gave us the gift of time. This isn’t a year to look back and remember a bad time in my life, it’s about realising that the future is there for the taking, it’s up to all of us to make the most of time and not let it go by unnoticed. Time passes in a flash, but time is one of the most valuable things we can give others. I am asking you for your time, in whatever amount you can give. Will you walk alongside me and raise money for CLIC? Will you be there on the route with flapjacks and a hug when I need it most? Can you help me run an event to hit my fundraising target? Can you run your own event? Do you know people with great connections?